The Returned Peace Corps Volunteers of Hawai'i (RPCVHI) is a member organization of the National Peace Corps Association. We actively try to connect with RPCVs living in Hawai'i through our website, ongoing activities, and opportunities to engage in projects that align with Peace Corps' Third Goal - to bring the world home. We support the Dept. of Land and Natural Resources' efforts to clean the Kawainui Marsh on O'ahu's Windward side with monthly volunteer time; we support the statewide outreach of Hawai'i Public Radio by answering phones at the semi-annual pledge drives; and we join other organizations for beach clean-ups and fundraising walks. Keep checking back for updated events and future get togethers! ‘A ‘ohe hana nui ke alu ‘ia – No task is too big when done together by all. In November 1963, a bright Hawaiian morning is shattered by news of the assassination of the President. This marks the beginning of a journey to a remote Iranian village where a young American Peace Corps Volunteer sets out with rebellious tenacity to do what is right, unaware of America’s loss of innocence—and his own. 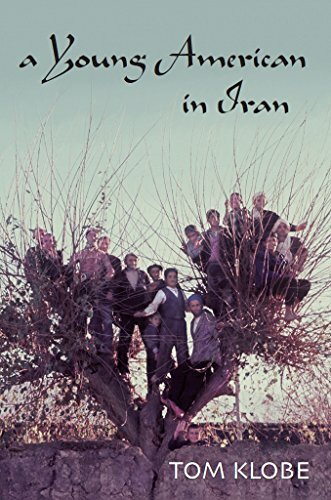 From a youthful determination to perpetuate Kennedy’s legacy, to coping with the reality of America’s faults and ambitions, to grappling with unfamiliar customs and languages, to discovering the friendship and love of Iranians, Tom Klobe discovers that being “Tom of Iran” is as fulfilling as being “American Tom." When David and Asifa said yes to serving with the Peace Corps in Mali, little did they know they were stepping onto a rollercoaster that would test their endurance, their creativity and patience. At age 60 and 57 they found themselves on the shore of the great Sahara Desert, posted to one of the hottest and poorest parts of Africa. 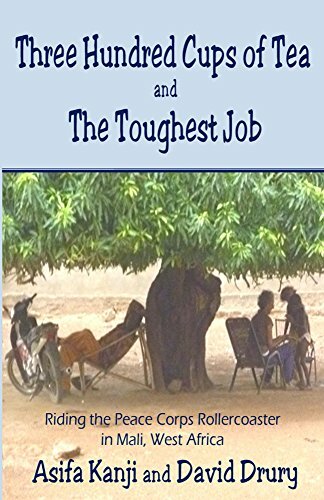 She took up the fight against malnutrition, with a campaign to cultivate the nourishing Moringa tree; he worked with a radio station and cybercafé that cultivated values of democracy and religious toleration. They found love in a hopeless place, a place that challenged them to look again at friendship, family, and development with fresh eyes.